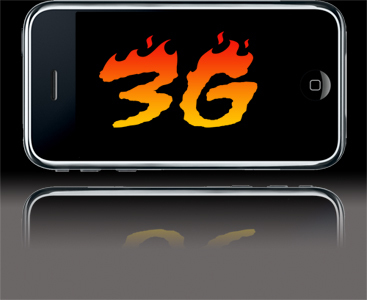 Is New Hope for 3G License Auction Mature By End of This Year? This Post has already been read 1471 times. Auction of 3G license is still pending, rumors and new hopes from govt officials and concern authorities are acknowledging their best to ensure the execution of auction process will held earlier, and this regard by the end of November 2012 will wind up the matter of 3G auction. Eventually, till now there is hardly any progress regarding the matter of 3G License auction. By authentic sources it has come to our knowledge that govt is going to plan for the auction of 3G license by the end of ongoing year 2012. Most likely it looks to be finalizing the deal between the months of November and December of current year. Now its new hope from govt to mature the deal by end of this year again looks new lollipop, but one factor is very important because budget of current fiscal year is likely to be presented in next month. It is sure that govt will be keep one reserve to cover the budget deficit and revenue comes for the auction of 3G license would be allocated in this regard. Govt of Pakistan will kept around Rs. 75 billion under the auction of 3G license to cover the deficit of revenue from the side on non tax payers and by any means tax revenue target did’t meet the expected amount targeted by CBR. Already sub-committee of National Assembly Standing Committee of IT has showed the serious concerns about the delay of 3G auction, where as our neighbors have already implemented 3G and we are still lagging behind and didn’t reach any point till to execute this serious matter. Chairman PTA said that once hiring of international consultant will complete than auction of 3G license will hopefully completed by the end of November 2012.